The Securities and Exchange Commission (SEC) has assured its commitment to strengthen its collaboration with other regulators in the Nigeria’s financial industry, in its financial literacy campaign. The Commission explained that it is in a bid to ensure that Nigerians both in the urban and rural areas, are effectively sensitised on the benefits of financial literacy which will in turn lead to an improvement in the economy. The Director, Market Development Department, Securities and Exchange Commission, Mr Edward Okolo gave the assurance during an advocacy visit by the Financial Literacy Technical Committee, a market wide committee of the capital market to the National Insurance Commission, NAICOM, in Abuja weekend. Okolo said visit is in an effort to further strengthen collaboration between the Committee and NAICOM and expressed appreciation to NAICOM for being a member of the committee in helping to pursue financial literacy awareness in the market. He described the insurance industry as one of the veritable tools of raising money in the market, stressing the need to explore avenues of enlightening the states on insurance during the SEC’s regular enlightenment campaigns. 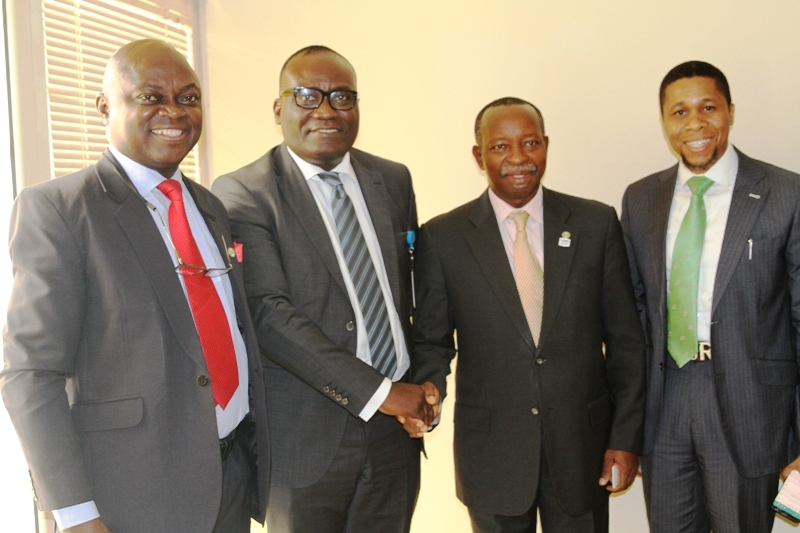 “As we market the capital market, NAICOM can also market insurance products during such campaigns. This collaboration will further strengthen our base and strengthen the financial side of the economy. Our sustenance is going to be based on how we can strengthen the market and introduce new products” he said. Also commenting, Member of the Committee, Mr Omagbitse Barrow said the story in the financial sector needs to be told more holistically by all agencies involved. According to him, “we need to be in agreement as well as understand what we do to be able to forge a united front. Already, we are making use of various channels like social media, training students on Over the Counter and other financial products to enlighten Nigerians. “Our focal area is to get people to understand more about the things we are doing and explore areas where we can collaborate as fellow regulators. We need to pay more attention to financial literacy and use it as a fulcrum to deepen the quality of participation and create more value for the industries. We want to continue to have more co-operation with a unified front to drive financial literacy. When that happens, the market will respond appropriately” Barrow said. In his remarks, Director, Inspection, NAICOM, Mr. Barineka Thompson commended the committee on its work which he said would deepen the financial industry and empower the citizens. Thompson said the work of the committee will lead to improvements in products in the insurance sector and further deepen the market, which will in turn improve the financial sector and the economy. “As we plan ahead, we will find areas to work with the committee. We are interested in the work of the committee and can assure you of our support, we support the on-going implementation of the master plan and will continue to support it” he added. Below N50,000 Claims To Be Resolve Instantly As FBN General Insurance Launches ClaimsAlert Service.